The Harold School Parents’ Association are holding a ‘Strictly Harold’ dance fundraiser on 9 March 2019 in aid of Harold National School Glasthule Co. Dublin. Twenty eight dancers representing the parents, staff and community of the school are stepping up to raise much needed funds to develop a new library and to upgrade Pres hall (the school’s assembly/concert/sports hall). We want to give the 700 plus children of Harold the facilities they deserve ! Every € you donate counts, so please get behind this event by sponsoring one or more of our wonderful dancers! We thank you for your support and generosity for this worthy cause. My name is Carolyn Dolan and I am the Treasurer of the Harold School Parent's Association. On behalf of the Parent's Association, I would like to thank you all for your extreme generosity at supporting our Strictly Harold fundraiser. We have far exceeded all our expectations and are delighted that the Harold School children will see the fruits of our labour in a new fully stocked library and a refurbished Pres Hall. In the interest of full disclosure, the GoFundMe account was first set up for all funds to be withrawn to the Harold School Parent's Association bank account and from 26th January 2019 - 5th February 2019 all funds raised via GoFundMe were transferred to that account. Our withdrawals were then suspended while GoFundMe looked to verify our account. We provided all the information that we could, namely my name, email address, and a colour copy of both sides (front and back) of my passport and driving licence. I also furnished then with a copy of our Harold School Parent's Association bank statement along with a copy of the PA meeting minutes where I was elected Treasurer . However as we are an association and do not have a VAT number, this was insufficient for GoFundMe to release our funds. GoFundMe advised us that since the organisation is not registered in Ireland, the best thing to do would be to withdraw the remaining and future funds to a personal bank account. After which, the funds could then be transferred to our organisation. Having discussed this with the Chairperson and Secretary of the PA committee we agreed to follow GoFundMe's instructions and we changed the bank account on the GoFundMe page to my personal bank account. Monies were transferred on the day they came into my personal bank account although some transactions did not register until the following day in the Harold School Parent Association bank account. The Chairperson of the PA oversaw these transactions and can verify a four eye check was in place. If anyone would like to review a copy of the GoFundMe withdrawal list of transactions, my bank statements to see these withdrawals and the Harold School Parent's Association bank statement to also see the list of withdrawals, please call into the school office, leave your contact details and I will get in touch. 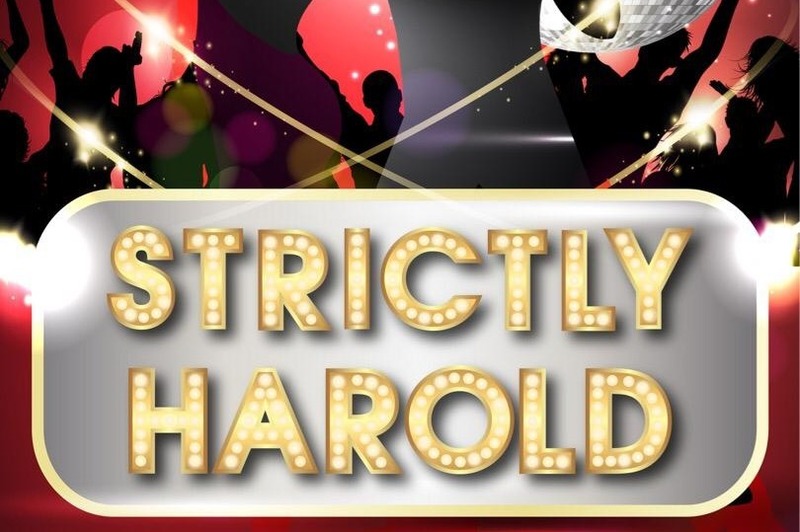 Thank you again for all your kindness, generosity and support in making Strictly Harold 2019 an unprecedented success. Dancers have been giving ‘Strictly Harold’ their all for the last 5 weeks, dancing their hearts out at dance classes, practising between times, generally putting themselves out there. The dancing is so lovely! There has been much spontaneous applause on dance nights from dancers supporting one another. Huge respect to the choreographers who will make sure everyone brings their A-game come show night. Thank you to the principal Ms nic Mhathuna and the vice principal Ms McKeogh for their show of support at a recent dance class. James (owner of the world’s best - and friendliest - fruit veg & health shop - the Punnet in Glasthule) took a turn with Ms McKeogh on the dance floor to show her the choreography for the group dance which all dancers will dance at the start of the show. Ms McKeogh absolutely wowed us and is now our team’s newest unofficial sub (officially she IS too busy)! Dancers dug deep last weekend filming some very funny clips to keep their audience entertained in between numbers. Great efforts were put into rigouts, props, singing, acting, and some downright FAB-u-lous dancing, all with minimal direction and often just one take! Thank you to Dermot who has been sharing the ‘Strictly’ experience with parents of his children's classes by recording weekly updates. These videos grow in hilarity week on week! It will be SO dull to go back to the can-someone-send-a-picture-of-the-homework whats apps after March 9. We are absolutely delighted to have two new additions to the line up. Tracey (who has taught so many of our children a love of Irish dancing) and Michelle (who endured 3 long weeks of subbing for other dancers with exceptional grace and patience) have joined our team to dance in their own right alongside Rachel in a new group dance, bound to be a showstopper. 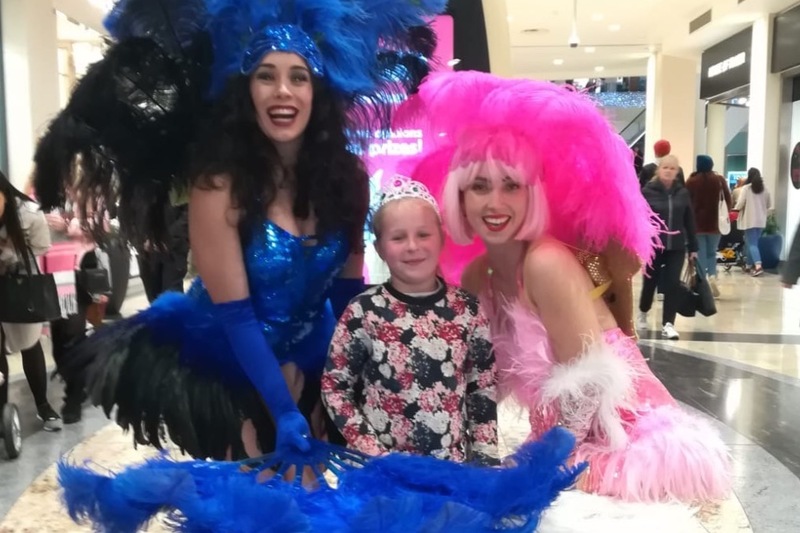 Costume fittings are underway and dancers will be all set for the bright stage lights thanks to a most generous tanning offer from Beauty time in Dun Laoghaire. Last but not least - the heart of the matter - dancers have been doing all they can to FUNdraise - throwing coffee mornings, rugby parties, offering babysitting, going door to door, decorating donation buckets, pleading and cajoling and charming family, friends, employers and local businesses into giving for the school. Huge thanks to ALL who have donated to date, to the dancers’ own circles, the Harold parents and community, and the many local businesses /services who have generously sponsored dancers or bought advertising. A marvellous thing that all this delightful dancing will carry over into lasting improvements to the school. ALL FOR THE HAROLD CHILDREN!! ‘Strictly Harold’ dance partners revealed ! Locals having a quiet pint in Fitzies on Thursday night may have been a bit put out when Strictly Harold descended in force for the launch night. The charming and witty Adrian Kennedy, MC for Strictly, announced the dance partner selections (made by the choreographers) to uproarious approval and laughter from our merry band of gracious and gallant dancers. There were some surprises and some outright hilarity. Do NOT ask dancers for details! They are sworn to secrecy! NOBODY is doing The Floss. Just come to the show on 9th March! It will be so much fun. And all for the present and future children of the Harold! Thanks to Mary Mitchell O’Connor (one of our esteemed judges for ‘Strictly’) for coming to show her support.